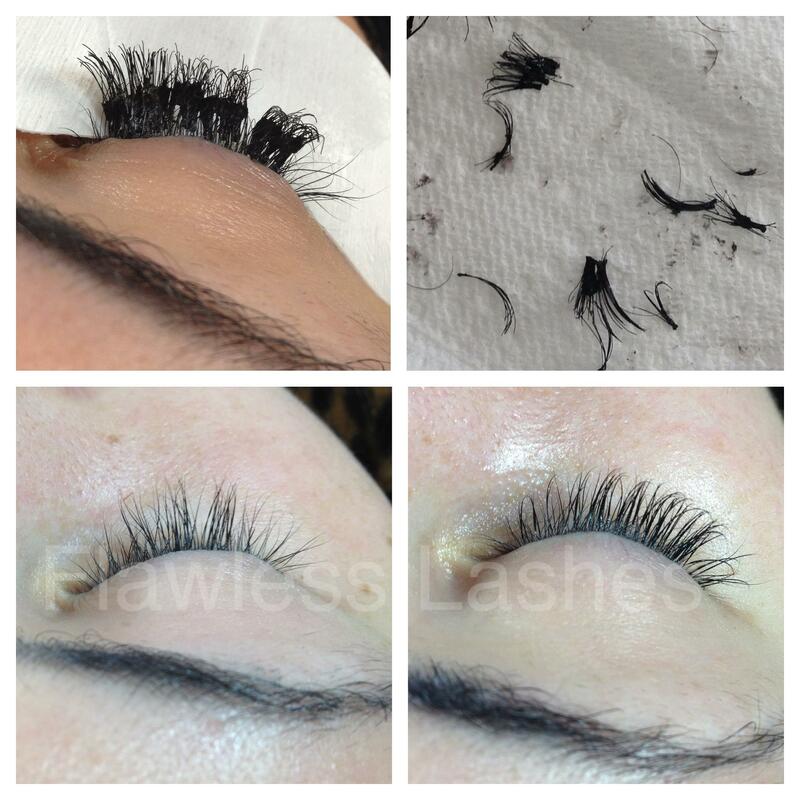 Bad eyelash extensions - Flawless Lashes These are what you see advertised at nail salons and groupons. Bottom right photo is our repair. These are what you see advertised at nail salons and groupons. Bottom right photo is our repair.